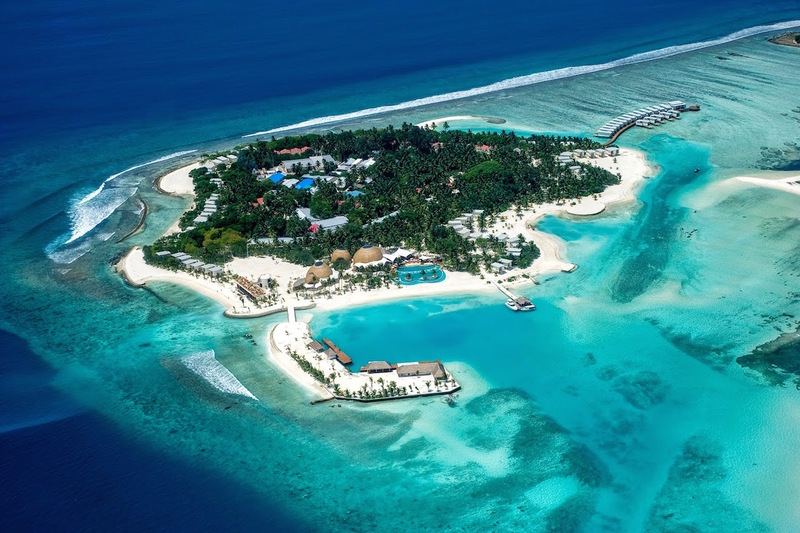 Singapore-based Hotel Properties Limited (HPL) has inked a management agreement with InterContinental Hotels Group (IHG) to manage an 83-room resort that will be open in Maldives in three to five years’ time. This will be the third resort that IHG will be managing for HPL. It will mark the first time that IHG will bring its global luxury brand, InterContinental Hotels & Resorts, to the Maldives, said Jan Smits, IHG’s chief executive for Asia, Middle East and Africa (AMEA). The management contract for the upcoming InterContinental Maldives Maamunagau Resort with HPL was inked on Monday. Construction has yet to begin, and neither HPL nor IHG would provide a number on the project’s development value. The other two existing HPL resorts managed by IHG are: Holiday Inn Resort Kandooma Maldives, comprising 160 villas, which opened in December 2009; and the 148-room Holiday Inn Resort Vanuatu which opened in March 2010. The latest Maldives signing brings IHG’s resort development pipeline to 13 across the AMEA region, reflecting a significant expansion programme, said Mr Smits. Currently, the hotel and resort management chain operates 37 existing resorts across three brands (InterContinental, Holiday Inn and Crowne Plaza) in the AMEA region. HPL’s new resort will be located on Maamunagau island, at the southern point of Raa Atoll (also known as the North Maalhosmadulu Atoll). International travellers can take a seaplane directly to the resort from Malé’s Ibrahim Nasir International Airport. Besides enjoying the clear lagoon and pristine white beach, guests will have a range of food and beverage offerings to choose from at the resort’s bar and restaurants. “Young travellers may indulge in specially tailored meals from the InterContinental Planet Trekkers Menu before going off for an afternoon of fun at the Planet Trekkers Kids Club,” IHG said. InterContinental Maldives Maamunagau Resort will also feature a Club Lounge, pool and spa where guests can lounge and relax. The range of water sports include snorkeling, canoeing and jet skiing at the nearby sea sports centre. As part of HPL’s growth strategy, “we continuously seek the right opportunity to expand our portfolio across the Asia-Pacific and Indian Ocean region”, he added. Mr Smits of IHG noted that tourism contributed more than 40 per cent of Maldives’ gross domestic product last year, and that “sentiments are positive as the country continues to be one of the world’s most highly sought after travel destinations”. Another hotelier who has a presence in Maldives told The Business Times that room rates for Maldives resorts have generally fallen over the past year on the back of weaker demand. Patronage by Chinese visitors, the number one market, has softened this year amid a weakening economy back home and slight fall in the yuan, among other factors. “Demand from Russia continues to be depressed due to the weak economy and rouble. On a more positive note, demand from some other European countries has improved but resorts are coming up with more competitive packages to adjust for the weakness in the euro.” Room rates in the Maldives are denominated in US dollars.